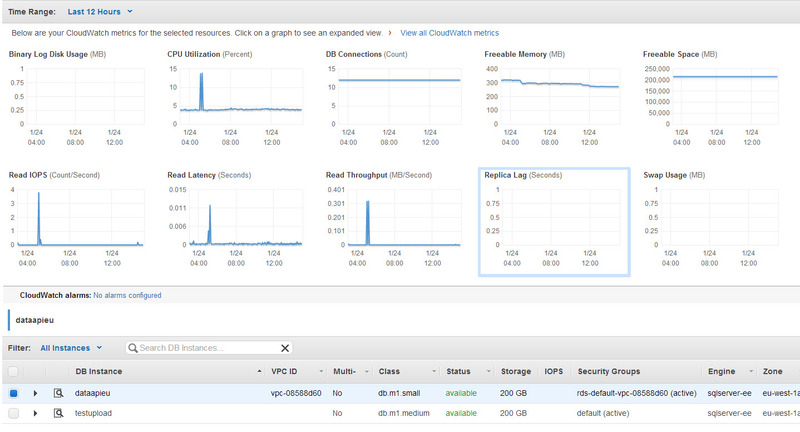 I want to show you now the GUI ways to monitor the Main SQL Servers on the Azure and on AWS RDS. 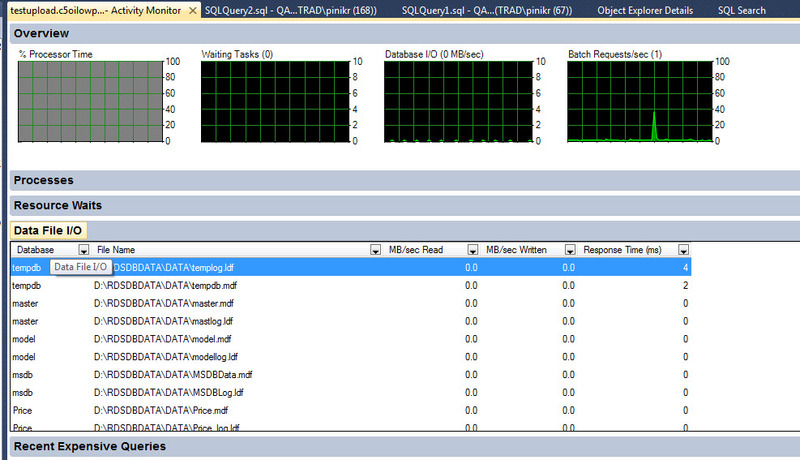 I said GUI since I will not show here the queries in both platforms, T-SQL Queries that show us all we need. I will just show the GUI aspects. 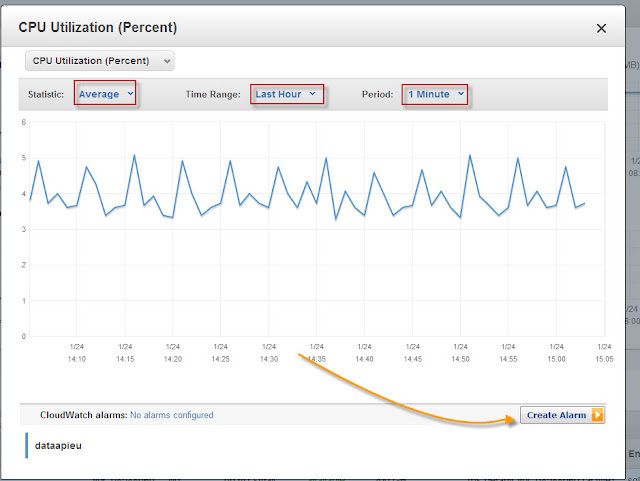 When I will click on Show Monitoring we will see lots of charts related to the status of the Instance. when I move to each instance I can see the relevant charts to this instance. 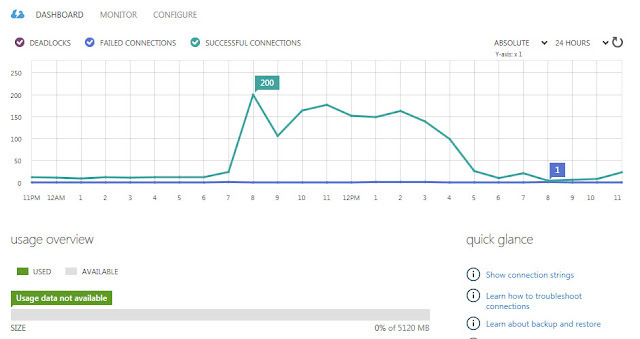 We can see here some Metrics like CPU, IOPS, free space i left in the instance or Throughput, those are very useful parameters. 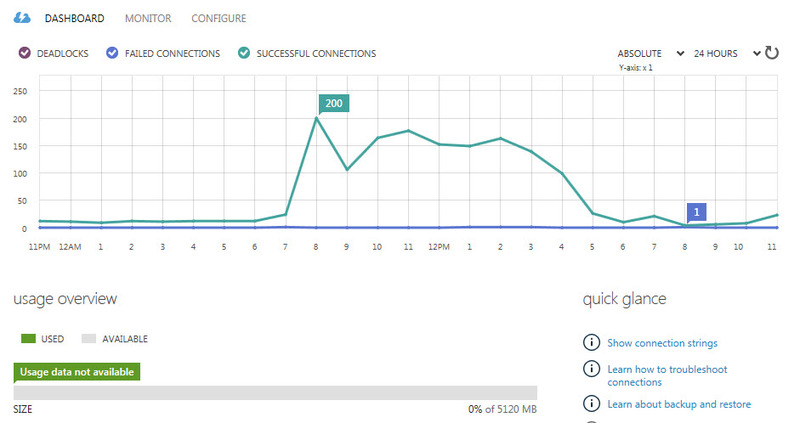 We can see those metrics in several time resolution. And you can create Alarm if one reach the red line you want. So the main Monitor From the Portal is very good and by several clicks you can monitor all instances. Another way to Monitor is Via SSMS. 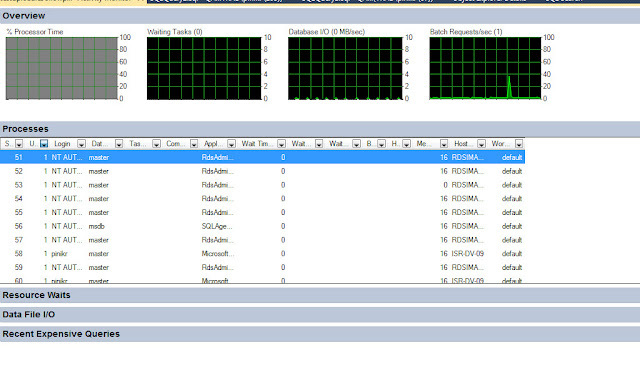 we have the great tool called the 'Activity Monitor'. 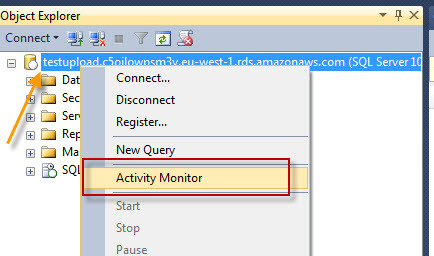 Lets start with the end, we do not have 'Activity Monitor' on SQL Azure - since the SSMS knows it is a separate version, so we can not open it. Second Issue: Monitor from the Portal, we have basic screen show us connections and deadlock , if we want more details like free space we can go into the DB itself in the portal and see free space ect.. 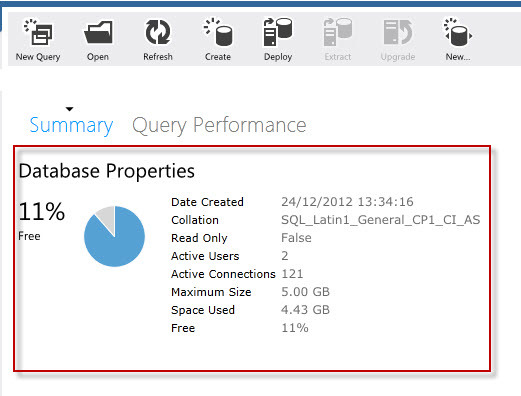 The Last part in third party applications i will show one example - it is QUEST Software - Foglight for SQL Server, it come free if you have it for on-premises DB's. 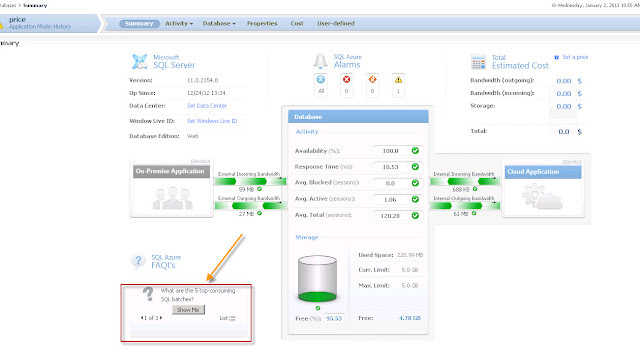 If we will test each platform by itself AWSRDS has more tools and interfaces to monitor the DB activities. If we will add tools from third party SQLAzure has a lot what to sale. 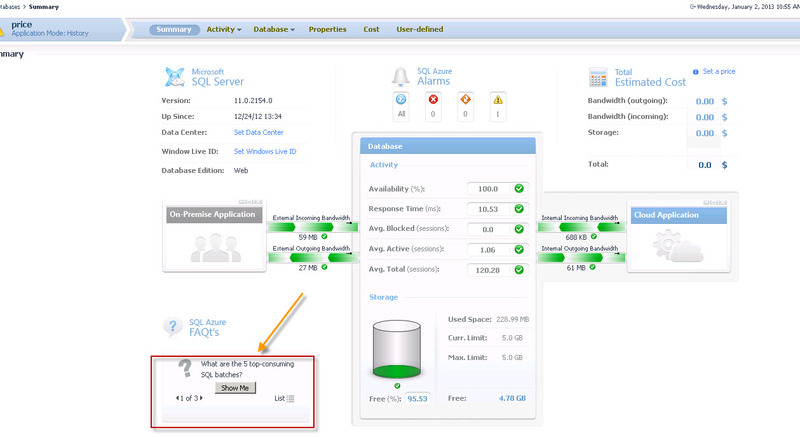 Lots of DBA's do not love to Monitor DB's via GUI, they prefer queries, and this is a wrong way of thinking. DB's in the Cloud need tools. so this is a short summery - I will continue tests the 2 good platforms.